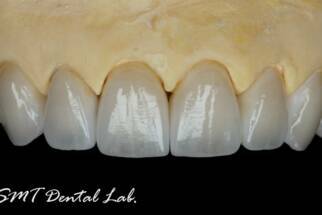 SMT Dental Lab saves valuable chair time for dentist and delights the patient with beautiful restorations that are places within minutes. Our continuous implementation of cutting edge equipment like Kavo's Everest CAD/CAM system supports achieving this promise consistently. The artistry of our Master Technicians unfolds to a new level with zirconium dioxide substructures, providing utmost esthetic solutions that advanced technology offers. "Effort only fully releases its reward after I see a big smile on patients face"